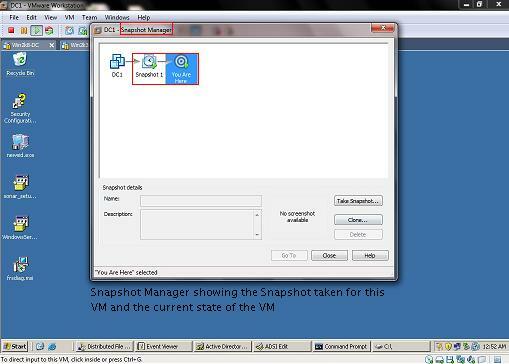 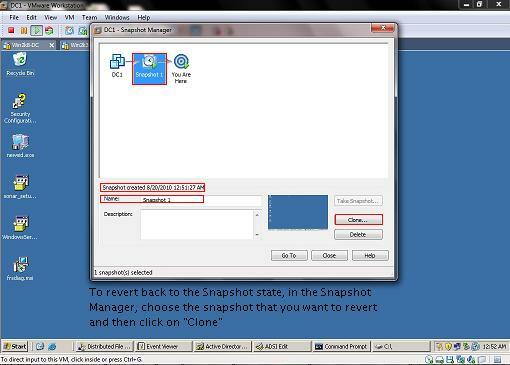 NOTE: Snapshot should NOT be used on a Domain Controller as that leads to a state of “USN Rollback” – A state where in the domain controller stops replicating with other domain controllers and the only option left with us is to demote and re-promote the domain controller. 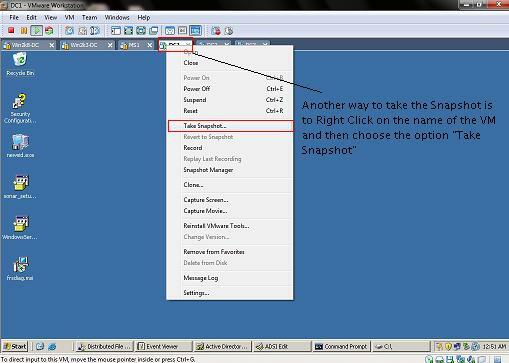 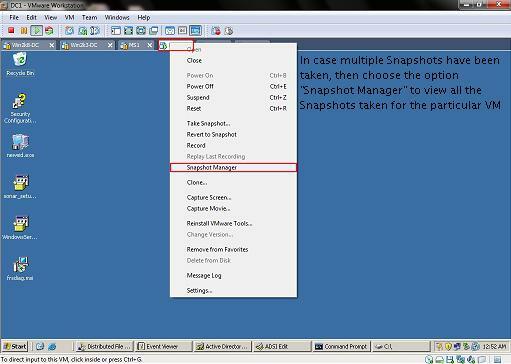 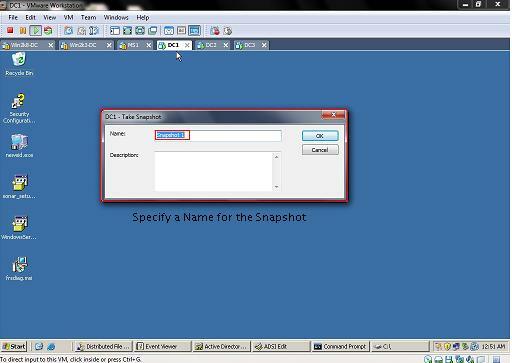 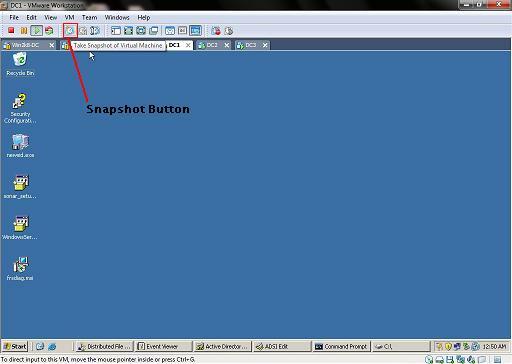 Snapshots should not be taken on the "Production" machines. 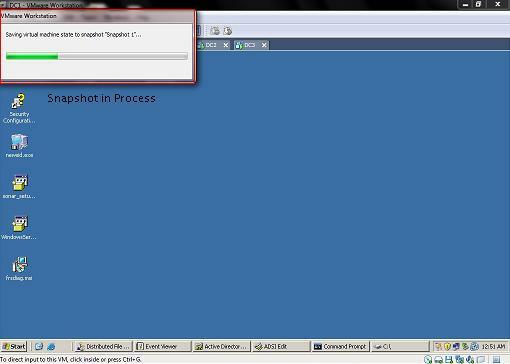 It should be only taken in a Test Enviornment.